“ Andi-Le Aspen”Collections of one-of-its-kind and limited edition, home accessories. The first collections are found in the stylish and contemporary “NOT SO” Lazy Susans. I found that my guests don’t reach across the table; they would only eat what is in front of them. 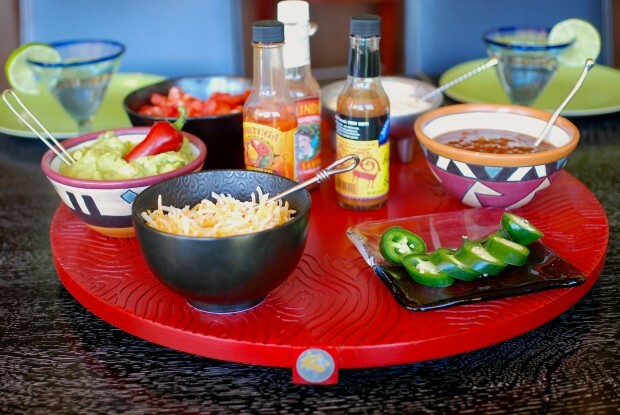 THE SOLUTION... Let’s bring back the Lazy Susan. THE ANSWER… Into my studio I go, to create Lazy Susans with an exceptional design, style and sophistication, pieces that have the global modern aesthetic of Andi-Le. carved and embellished. 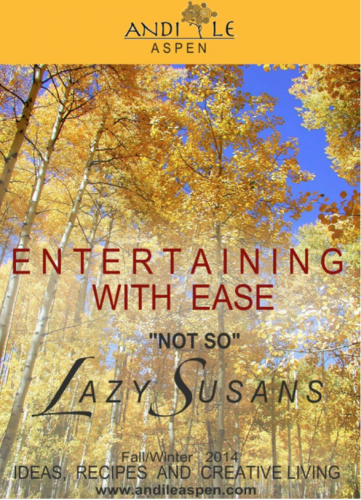 They are definitely not your mother’s lazy susans. And they are NOT SO lazy. 3 collections (so far) and more to come. These “Susans” became the answer to many entertaining issues and created a whole new way of serving. All products are available for purchase at www.LUXDETAILS.com. Am I Santa's Custom Furniture Elf? Carving textures, wrapping croc hides, welding steel for cabinet pulls, sanding, grinding, fitting a marble top, glass top delivered and finally the installations...That is what is happening here in the Andi-Le Aspen studio. My clients will be all set to enjoy the holidays with their new, custom accent pieces and as well as accessories to finish up their beautiful homes. Also up and running is LUXDETAILS.com. This is the place to go for extraordinary accents for home and fashion. Fabulous accessories that are not readily found and all created by artist /designers. One of a kind or limited edition pieces that will transform your style. Check out the preview launch. With a couple feet of fresh snow, it is a winter wonderland. The really cold temperatures in the mornings have been brutal, making my barn chores a little less enjoyable. My horses had frosted eyelashes! So extra carrots and extra hay are on their menu.